If you are hurt in an injury that was caused by another person’s negligence or recklessness, you may be able to receive monetary compensation for the damages you sustained. You may not want to split a portion of this compensation with your lawyer, but the truth is that you are more likely to receive a favorable outcome with the help of a Newport Beach personal injury attorney. Depending on the circumstances that surround your personal injury and accident injuries, you may be qualified for injuries compensation from those at fault to help cover the cost of the damages you’ve suffered. We communicate with you every step of the way. Consult with an injury claim attorney as soon as you feel able to. 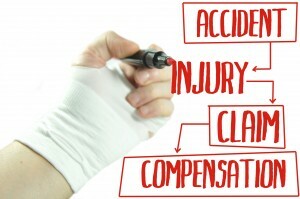 Our Newport Beach personal injury attorney can help you get full and fair compensation for your injuries. We have helped our clients throughout Southern California recover millions of dollars in compensation. You deserve a personal injury attorney that you trust and feel confident in. Our lawyers keep all client conversations private and even if you choose not to hire our firm as your personal injury attorneys your information and conversation will never be revealed to any outside people or organizations. To know more about what a personal injury attorney can do for you, call us today. Our initial consultations are free of charge, contact us today.